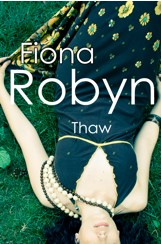 Helen's Book Blog: Blogsplash with Fiona Robyn (author of Thaw) and a Give Away! 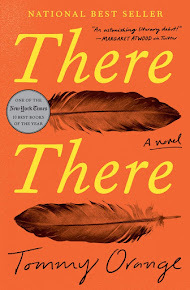 Blogsplash with Fiona Robyn (author of Thaw) and a Give Away! blog the novel in its entirety over the next few months, so you can read it for free. together, a pair of folded wings. And you can see her insides. describe: blue, but also silver, green; her blood runs through them, close to the surface. The book says she died shortly after they took this picture. Did she even get to see it? Maybe it was the last beautiful thing she left in the world. think I'm alone in wondering whether it's all worth it. I've seen the look in people's eyes. Stiff suits travelling to work, morning after morning, on the cramped and humid tube. I've heard the weary grief in my dad's voice. right now, looking up every so often at the thin rain slanting across a flat grey sky. dying when I was fourteen, three years after her first diagnosis. What else? handle the pages as though they might flake into dust. on a hard chair and looked at her face as her pen spat out sentences in short bursts. writing about what she was going to cook for dinner and how irritating Dad's snoring was. sheets of pure white paper, rough under my fingertips, and fill it up on both sides. here. I'm using a silver fountain pen with purple ink. A bit flamboyant for me, I know. And I have a copy of Thaw to give away. Fill in the form to enter!